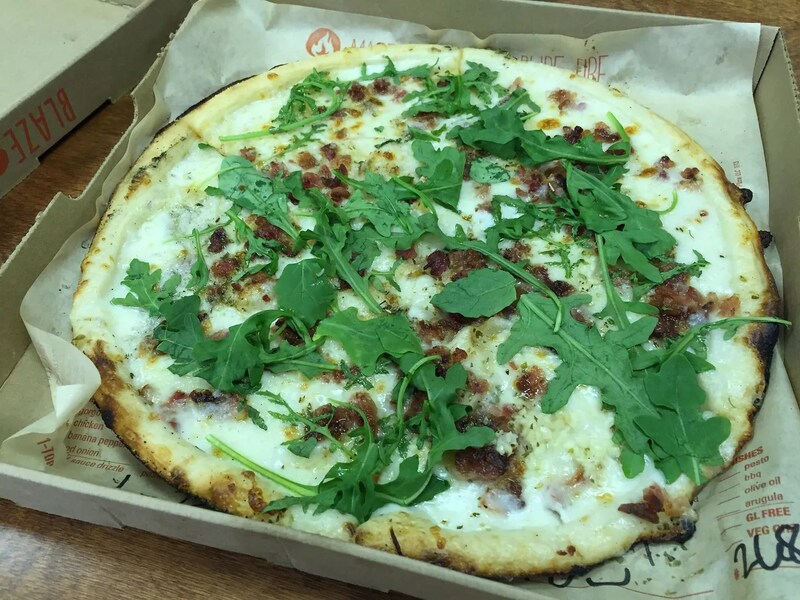 Do you have a Blaze Pizza in your hometown area? We do. 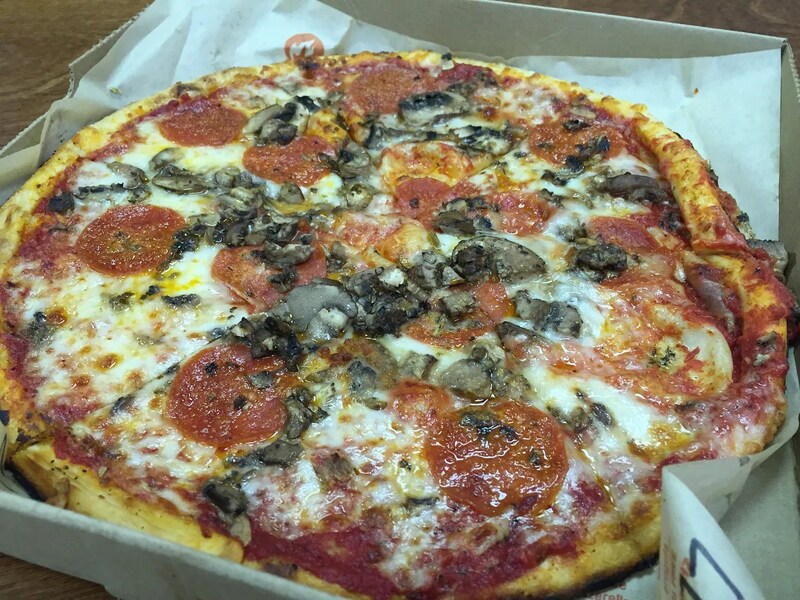 It’s not my favorite pizza, but it’s fine. However, perhaps the Blaze Pizza at Disney Springs has some of that Disney magic, making it taste better than the Blaze Pizza I’ve had at home. We decided to order two pizzas for the three of us to share. 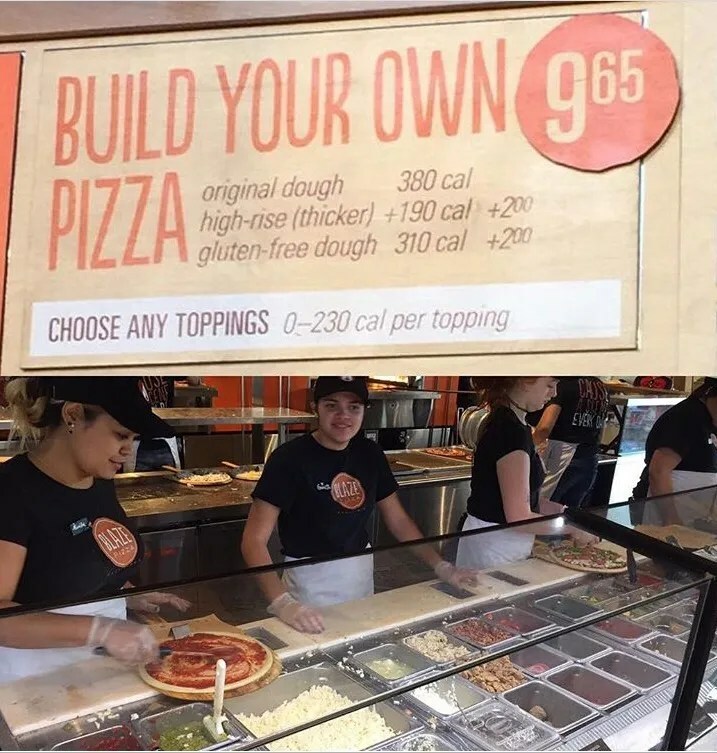 Notice that the Build your own Pizza price at the Disney Springs location is $1.70 more. Tasted the same as White Top pizza at home. The only difference is that it cost $1.70 more. My son complained about having to pick off the greenery. Oh well. Again same pizza, $1.70 higher price. And again my son complained about having to pick off the mushrooms. So my advice? 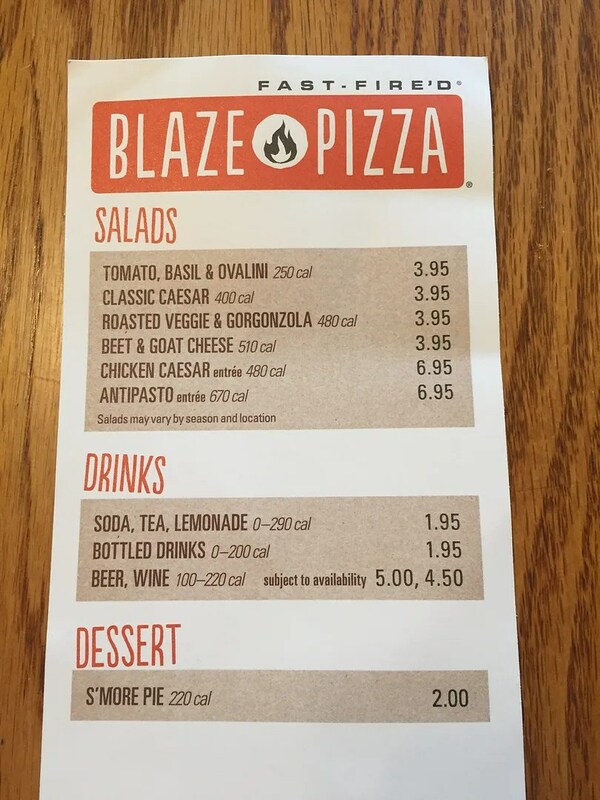 If you are a Blaze fan and can get your hunger for their pizza satisfied locally, do so. There are so many other great choices available at Disney Springs. 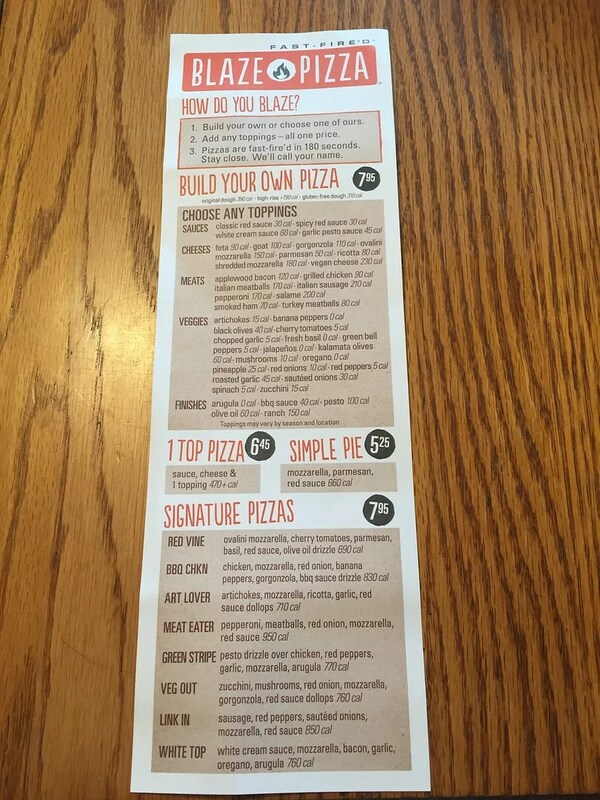 As for the ratings, both Yelp and Trip Advisor reviewers rated Blaze Pizza (Disney Springs locations) 4 1/2 stars.